Not one example can be put forth of the need for evolution (or belief in its tenets) in order to practice modern medicine. As a practicing physician, I have had to examine these claims about the importance of evolutionary thought in my daily interaction with patients. I have also sought the input of many colleagues as to whether or not any evolutionary input is needed for them to adequately serve society in their capacity as physicians. 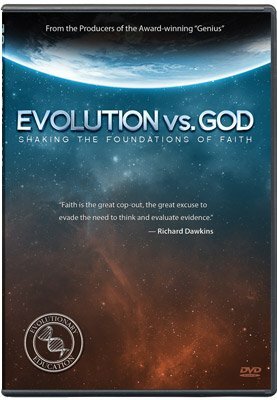 Regardless of any individual's particular religious persuasion (many of my colleagues are avowed atheists or theistic evolutionists who mock me for my young-earth creationist stance), not one example could be put forth of the need for evolution (or belief in its tenets) in order to practice modern medicine. Evolutionists are quick to use many unsupportable arguments to promote their beliefs. The most-often-used example is that of antibiotic resistance. They argue (quite vociferously at times) that one must understand that bacteria will evolve to a state of resistance to a particular antibiotic if that antibiotic is overused. Quite overlooked by the evolutionist are the multiple mechanisms of antibiotic resistance, none of which require or involve so-called evolutionary changes, which would add new information into the genome. Much antibiotic resistance results from natural selection of populations of already-resistant bacteria. For instance, there are examples of antibiotic resistance found in bacteria recovered from the frozen corpses of people who died before the use of antibiotics. Much antibiotic resistance results from natural selection of populations of already-resistant bacteria. 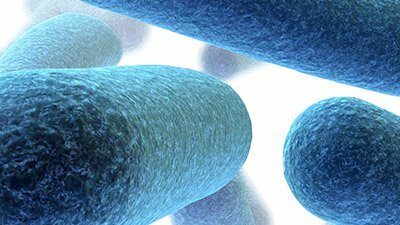 Antibiotics kill susceptible organisms, and resistant organisms survive. Another mechanism of resistance is what occurs when a mutation takes place that might, for example, cause a defect in the bacteria's ability to transport the antibiotic into the cell, thus rendering the bacteria resistant to that particular antibiotic. Another mutation might change a binding site used by the antibiotic within the cell, thus rendering it unable to kill the cell. What is never brought up, however, is the fact that any mutation will result in a loss of information due to the change in genetic material. Even in the very unusual occurrence of a so-called “beneficial” mutation, there is an ultimate loss of genetic information available to succeeding generations. Recently, similar arguments have been put forth to explain resistance in certain strains of the influenza virus. These arguments fail for the same reason. This loss of information is inconsistent with a biological model that proposes to explain how organisms become more complex over time. Loss of information is the opposite of molecules-to-man evolution, and fits well into a creationist model of biology. Thus, antibiotic resistance is not a valid argument for the Darwinian evolutionist. Evolutionists have also, over the years, pointed out the many so-called “vestigial organs” in the human body. It was their contention that these many organs were leftovers from millions of years of onward, upward evolutionary processes that no longer had a useful function. It can be argued that this viewpoint actually hindered the advancement of medicine, as many accepted this concept of vestigial organs and expended no effort to seek out possible functions for these organs. For example, for many years the thymus gland was held to be a nonfunctioning leftover of evolution. Many children had this gland irradiated needlessly. We now understand the thymus gland's important function in the development of a normal immune system. The appendix, pineal gland, tonsils and coccyx are further examples of organs long held to be leftovers from evolution, but now are known to have important functions in the development and operation of our bodies. Again, it would seem that evolution has been a hindrance rather than a help in the practice of medicine. In fact, there are “vestigial organs” in the human body-but left over from our embryonic development. That has nothing to do with “molecules-to-man” evolution. Another more recent controversy has revolved around the so-called “poorly designed eye.” Evolutionists argue that the human eye is poorly designed due to the photoreceptors being located behind the nerve fibers. When one understands how the photons of light are transformed into electrical energy in the retina, and the need for a massive blood supply, the marvelous design of the eye becomes apparent. For instance, the receptors respond to just one photon of light-the smallest unit of light! There is no “bad design,” just a faulty understanding (or, perhaps, faulty presupposition) on the part of the evolutionists. The eye has been wonderfully designed. Indeed, evolution has nothing to offer in regard to operational science-in medicine or otherwise. That is, any endeavor requiring scientific experimentation in the present can be undertaken adequately and completely without any input from molecules-to-man evolution and its tenets. Where, then, is the evidence of the foundational nature of evolution to the practice of medicine? It can only be concluded that there is an obvious need for evolutionists to hang on to a worldview that excludes a Creator God, regardless of the lack of empiric evidence to support such a view. Thus far, we have explained that evolution cannot be shown to be in any way vital to the practice of medicine. But there is a further issue to be dealt with. What about man's suffering? What about death? How does the evolutionist explain these things? 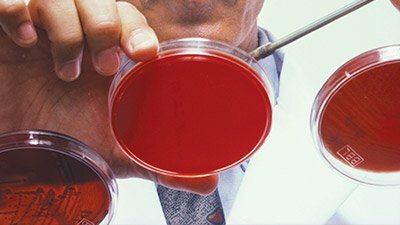 If evolution is true (for the sake of argument, you understand), how does a physician understand illness and human tragedy? The entire basis for evolution is that, untold millions of years ago, life began spontaneously from primordial pond scum. Over the ensuing eons, life became more and more complex and progressed via the process of survival of the fittest. This unfeeling, merciless, pitiless, unstoppable process has resulted in countless creatures being killed, torn apart and slaughtered by the “survivors.” Those less able to adapt, less able to find food, injured or in some other way found less worthy in the eyes of evolution, fell by the wayside. As Carl Sagan said, “the secret of evolution is time and death” (Carl Sagan's Cosmic Connection, 1973). Humans are supposedly the result of this process. Can one not argue that the evolutionist is inconsistent when insisting evolutionary thought is vital to the practice of medicine? Is it not more consistent to argue that there should be no doctors? If survival of the fittest is the mantra for evolutionists, where is there room for pity? Why does one show concern for his fellow man? Are these actions and emotions not at odds with the prime driving force of evolution-survival of the fittest? With savages, the weak in body and mind are soon eliminated; and those that survive commonly exhibit a vigorous state of health. We civilised men, on the other hand, do our utmost to check the process of elimination; we build asylums for the imbecile, the maimed and the sick; we institute poor laws; and our medical men exert their utmost skill to save the life of everyone to the last moment. There is reason to believe that vaccination has preserved thousands who, from a weak constitution, would formerly have succumbed to smallpox. Thus the weak members of civilised society propagate their kind. No one who has attended to the breeding of domestic animals will doubt that this must be highly injurious to the race of man. It is surprising how soon a want of care, or care wrongly directed, leads to the degeneration of a domestic race; but, excepting in the case of man himself, hardly anyone is so ignorant as to allow his worst animals to breed. On the other hand, the creationist has answers to these issues. If the Lord did, indeed, create the world in six literal days and pronounced His creation “very good,” where did suffering come from? The answer is: it's “our fault”! You see, when Adam rebelled against God in the Garden of Eden, he, in effect, said that he wanted to make his own decisions and live apart from God's authority. This is where death and suffering arose. Since the time of the Fall, “ the whole creation groaneth and travaileth in pain together until now ” ( Romans 8:22 ). Death and suffering have been the result until this day. Beginning with a wrong understanding of the origin of life will actually be detrimental to medicine and technology. However, starting with the correct history of life, and understanding how suffering is a result of the effects of sin (as recorded in Genesis), one has the ability to build a consistent worldview, enabling the development of a right approach in medicine (and every other area). Robert T. (Tommy) Mitchell, M.D., is a graduate of Vanderbilt University School of Medicine and practices Internal Medicine in Gallatin, Tennessee. He is Board Certified in Internal Medicine and is a Fellow of the American College of Physicians. For many years he has spoken and written on issues related to the creation/evolution debate. In 2005, Dr. Mitchell was asked to join Answers in Genesis-USA as a speaker. To inquire about having this dynamic speaker come to your area with well-illustrated presentations, visit our Request an event page.